Can you rent a Flevo recumbent bike, the kind that bends in the middle, in the Europe? While the question is about the two wheeler, a Flevo trike for rent would be an alternative. Rentals of these bikes in other countries are welcome as well. This is the trike version of the bike I am talking about. Photo by Willeke, me that is, free to use for all. This answer is for the Netherlands, which was the original country in the question, before it was widened to Europe. It is very hard to proof a negative, but I think you can not rent a Flevo Bike nor a Flevo Trike in the Netherlands at the moment. In older comments I have found that the bike was not rented out but that you could rent the trike. Net als met de FlevoBike kom je ook met de FlevoTrike in eerste instantie niet verder dan een meter of twee. Na een minuut of tien lukte het echter al redelijk om rechtuit te rijden; de Trike is beduidend gemakkelijker dan de Bike. De Trike wordt daarom wel verhuurd. From this website, in Dutch. 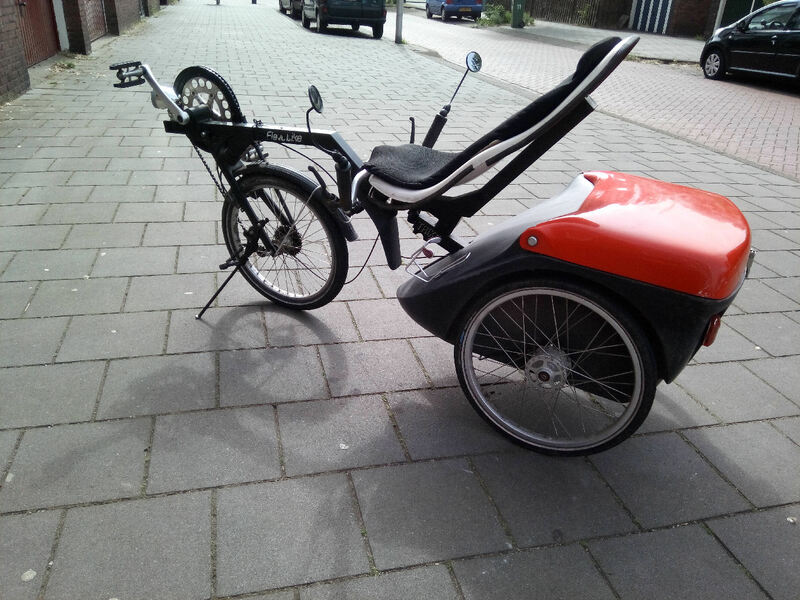 I have checked the sites of all recumbent rentals in the Netherlands as far as I could find them and non mention having Flevo Bikes or Trikes, nor for sale, neither for rent. So my conclusion is that they are not for rent in the Netherlands at the moment. Looking at international recumbent renting pages, I do not see any Flevo Bikes or Trikes for rent, even less the bendy Flevo Bike. So I come to the conclusion the bendy Flevo Bike is not for rent in Europe. Not the answer you're looking for? Browse other questions tagged europe rental bicycles or ask your own question. Transatlantic cruises allowing casual dressing?